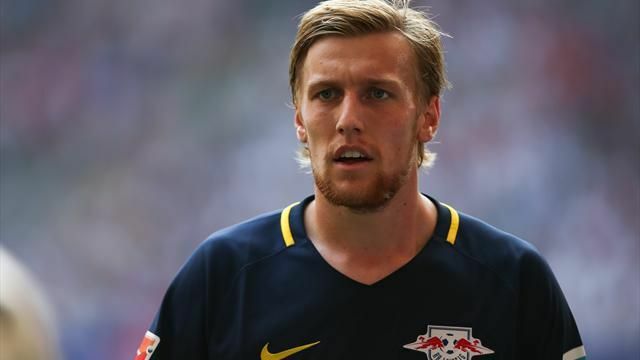 Emil Forsberg’s agent has opened the door for his client to leave Red Bull Leipzig this summer, despite the German minnows qualifying for next season’s Champions League. The attacking midfielder, equally as adept playing centrally or on the wing, registered 19 assists in the Bundesliga and bagged eight goals to boot – an outstanding return in anyone’s books. Liverpool are one of many clubs registered with an interest in the 25-year-old Swede, who along with Naby Keita and Timo Werner, took Germany by storm this season just gone. Hasan Cetinkaya told Swedish outlet Aftonbladet: “I will never comment on which clubs are involved. [But] there are big clubs who are very interested in Emil. “Obviously RB know that if they want to keep Emil, they have to make sure he’s always happy. “He has repaid the club 10 times over. It might be time to test himself at one of the big clubs. “If RB want to be in the fight, they really have to show it. Cetinkaya added though that ultimately the decision will be made by RB’s manager Ralf Rangnick : “The only thing I can say, out of respect for Ralf, is that he’s the one who makes the final decision. “We have built this up together with Ralf and we would never take a fight against him. These quotes sound very much like Forsberg wants to leave, although it’s his team-mate Keita that Liverpool are likely more interested in. With Adam Lallana, Coutinho and Roberto Firmino in the squad, we have terrifically talented creators already, but lack Keita’s energy and ability to dribble centrally – which provides a defensive and offensive presence in equal measure. There’s also interest in Werner, the young German forward who notched a very impressive 21 Bundesliga goals. Perhaps some kind of mammoth ‘three players at once’ deal can be arranged? !